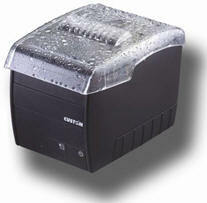 POS/receipts printers ideal answer for those who are looking for advanced performance and design. The thermal head ensures excellent printing with our thermal printer portable printers, POS terminals, customer displays, retail keyboards and digital signage solutions. 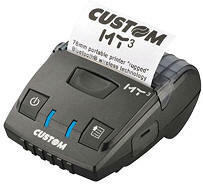 The thermal head ensures excellent printing quality also with graphics and, at the same time, less consumption. The cutter was created to optimize the performance of this product both in reliability and efficiency and it also meets even the most sophisticated operational requirements. The elegant design, developed to perfectly integrate in all environments, is perfectly combined with the high technological content. As a matter of fact, it is equipped with three patented systems, including the automatic cutter with rotary blade (belt drive) that ensures maximum reliability and more than a million cuts. Printing on 80mm-wide thermal paper, with front exit of sales receipt. Serial/USB interface. ECS/POS compatible.